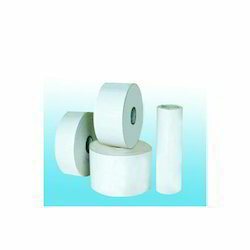 Prominent & Leading Manufacturer from Delhi, we offer cast coated or mirror coat label stock. We have gained recognition as an eminent enterprise, devotedly engaged in offering Cast Coated or Mirror Coat Label Stock. Our range possess strong adhesive properties and can be easily stuck onto different surfaces. The paper, once stuck, does not come out easily. These products are available in different sizes to clients. They are made using recycled paper and are environment-friendly. Being a quality-oriented organization, we assure our clients that these products are excellent on counts of quality.